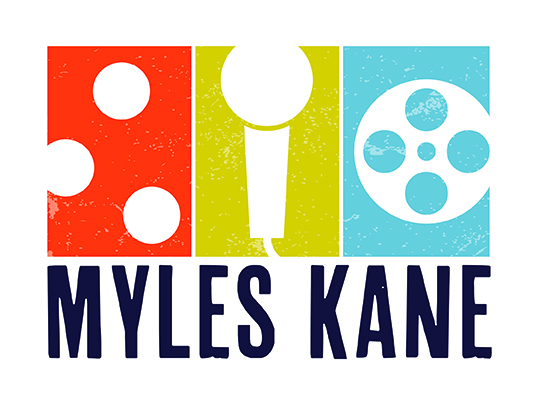 I'm fundraising for my friend Myles Kane. I knew Myles first as Annie's cousin, my friend, and as an incredibly creative individual. I consider him my family, and he is in need of support. Please do what you can, even if that simply means clicking the 'become a supporter' button. Thank you! Last Tuesday, December 10, 2013 Myles went into surgery at Duke Medical Center to receive a new liver. The journey to get him to this place has been long, challenging and full of amazing events that have shown us the possibility of miracles. He came out of surgery on Wednesday, December 11th just before 5:00 am with a new life ahead of him and a new liver inside of him. Myles was discharged from the hospital on Wednesday, December 18th! His doctors are extremely pleased with his progress – his lab tests and vital signs are great…many people would still be in the hospital at this stage. He is staying at Elizabeth’s family home in Durham, NC for the next few weeks. He will be under the close supervision of the transplant team and Elizabeth. They have to carefully monitor his medication regimen, dietary restrictions, keep an eye out for signs of infection and rejection. He will stay in Durham for the next couple of weeks, so that he can go in for visits with the medical team regularly. Our extended family is so very grateful to all of you who have supported Myles in so many ways. The funds that you have helped us raise have already made a big impact on the family. Just for starters, the last minute travel plans for Dennis and Janet so that they could be in North Carolina when he was in the hospital were made possible by your generosity. There will be more travel expenses, more medical bills that insurance won’t cover fully. Myles, Dennis and Janet, Elizabeth, Peter, all of us….we are grateful for your generosity. And we are grateful for the life and the liver that have been shared. We ask that you join us in extending our deepest sympathies to the family who suffered a terrible loss. We don’t know who they are, but we know that we are grateful for their compassion that has allowed others to live on, due to the donation of the organs of their loved one. BTW...the Fundraising Event in November raised over $5000!! It was a huge success! Thank you to all who attended, donated, shared, contributed. Thank you!!!! Geekhouse Headquarters - 12 Channel Street in Boston, MA. There will be food and drink, prizes, live music and games. Donations will be accepted at the door. We look forward to a fun evening with friends and family. Generous supporters have donated artwork, gift certificates, and more as prizes. No tickets are needed, just come on down to the Seaport District, near the Boston Design Center, the Bank of America Pavilion, and the ICA. We hope to see you there! Myles Kane needs a liver transplant. We received news on Thursday that our 2nd brave family member was NOT cleared to be a living donor for Myles. The health screenings are very thorough, and because the surgery is completely elective, the medical team wants to be sure that there are as few risks as possible for the living donor. The physicians for our 2 family members have reassured them that they are very healthy individuals, and they did not uncover any serious health issues that will require treatment, but there were issues that increased risks associated with undergoing major elective surgery. We remain grateful and hopeful. Thank you for your support. A family member is currently being evaluated by the medical team at Mount Sinai Medical Center to be a living donor for Myles. This evaluation requires MANY medical and psychological assessments to ensure that the procedure is safe for the donor and is a match for Myles. The donor would have 1/2 to 2/3 of their liver removed and transplanted to Myles. The donor's liver would regenerate in their own body, AND would grow to full size in Myles as well - AMAZING! We will have an update on this in the next few weeks. Of course, we are so grateful for the incredible generosity of our family members who have been willing to undergo this extensive evaluation and possible eventual surgery. There has been one other family member who went through the evaluation process and was found to have a possible underlying medical condition that precluded their eligibility. Our gratitude to family, friends, and community is immeasurable. Love, blessings and thanks to all who have contributed in so many ways. Myles has many connections to many fabulous people. You know that his creativity is endless, his humor is delightful, and he comes from a large extended and loving family. It is this extended family that is asking for your help today. Myles has been dealing with a very serious medical situation. Given his humble and private nature, you may not have known that in 2006 he was diagnosed with an auto-immune disease called Primary Sclerosing Cholangitis that has caused serious damage to his liver. This illness damages the bile ducts in the liver, eventually blocking them and causing permanent scarring and damage to the liver. He recently spent almost a week in the hospital when the disease caused painful blockage of the bile ducts. The disease has progressed to the point that he needs a liver transplant. He is in good hands at Mt. Sinai Hospital in NYC, but getting a liver is a difficult and lengthy process. More than 16,000 people are on waiting lists for a liver transplant, and approximately 6,300 per year get a liver. More than 1,400 others die waiting each year. Getting a liver from a living donar is an option for Myles, and there are several family members who are in the process of being medically evaluated for this process. As you can imagine, the medical costs are enormous, even with a health insurance policy that covers much of the expense. A liver transplant is estimated to cost over $550,000 (http://www.transplantliving.org/before-the-transplant/financing-a-transplant/the-costs/). If his health insurance covers 90% of that, he will be responsible for over $50,000. Other expenses include long-term medications estimated at up to $30,000 per year for the rest of his life. He may be responsible for his monthly health insurance premiums if he is unable to return to work for an extended period. There will be months of loss of income, travel expenses, recovery costs, not to mention ongoing costs of daily living - food, rent, etc. He just traveled to Duke University Medical Center in an effort to be listed in that region's transplant list. If a living donor becomes available, that person too will incur costs and loss of income due to surgery and recovery time. Myles is a remarkable person. You may know him as a multi-media producer at the New Yorker (and from their softball team). Perhaps you attended last year's Tribeca Film Festival and saw one of his documentaries, Jourrney to Planet X. Maybe you are a Harry Potter and WizardRock fan and know Myles as the rapping house elf - MC Kreacher. Perhaps you saw him juggle at a Juggle This festival. Did you play basketball with him at Pratt, or sit with him in class at Lawrence Academy in Groton, MA, or see him in a summer playhouse production at Andy's Playhouse in Wilton, NH? You may know his mother - Janet MacFarland-Kane, his father - Dennis Kane, or his younger brother - Peter, or his girlfriend, Elizabeth. Maybe you know someone in one of his clans - the Kanes and the MacFarlands. Our dream is to see Myles with a healthy liver before the end of 2013. He will need your love and your support to see this through. We hope to raise enough funds to help Myles through this and on to a new period in his life. He will need these funds to cover out-of- pocket medical expenses, living expenses while he is out of work, travel expenses, and to help offset the costs that a living donor might incur. We appreciate your support! Help Anthony raise $1,000 by making a donation.